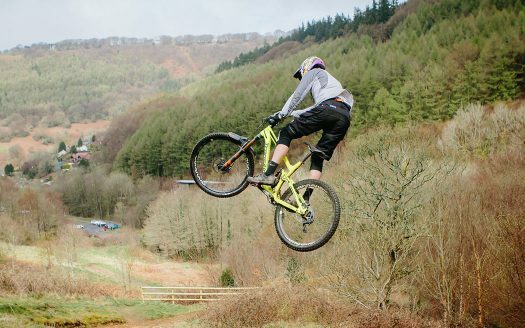 The fastest way for southern based riders to get their fix of singletrack fun and DH action, Cwmcarn is less than half an hour from the Severn bridge and 10min from the M4. The wild and more natural contouring singletrack of the Cognation funded Cafall and legendary Twrch trail. 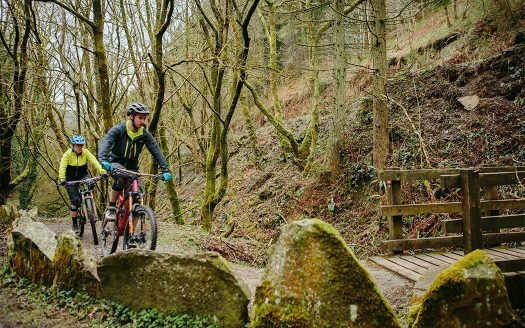 Both Red graded trails will keep you firmly focused on your riding, but stop for a breather and look about and you’ll be looking out over the Bristol Channel. 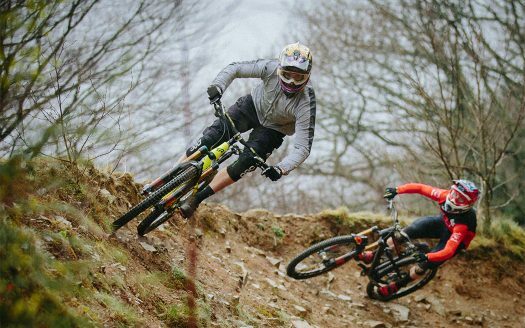 The Y Mynydd Downhill trail has been joined by the Cognation funded Pedalhounds DH trail giving another Extreme graded option for those joining the onsite uplift. 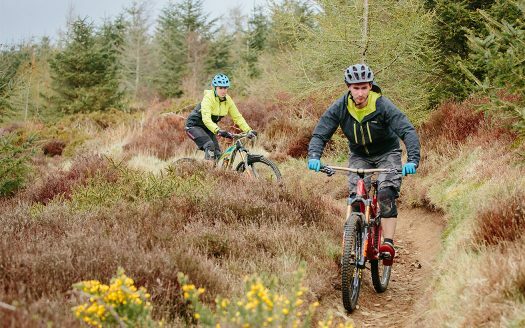 Cognation mtb trails South Wales was founded in 2010 and is investing in mountain biking across South Wales. It is a partnership project between Neath Port Talbot CBC, Caerphilly CBC, Merthyr Tydfil CBC and Forestry Commission Wales. It is part-funded by the EU’s Convergence European Regional Development Fund through the Welsh Government with match funding coming from the Welsh Government and partner organisations. For Cwmcarn Visitor Centre opening times please visit our website. 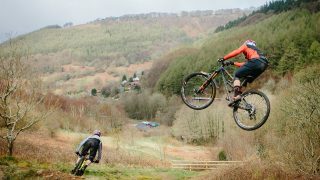 To book the uplift service visit Cwmdown www.cwmdown.co.uk. Private Uplifts are not permitted on either of the trails. There is a shop, café and bike wash, plus pay and display car parking facilities. Take M4 into Wales (or M50 / A40 / A449 if you’re coming from the north). Leave motorway at junction 28, heading north on A467 past Risca and Crosskeys towards Abercarn. Turn right at fifth roundabout, Cwm Carn Forest centre is signposted from here.